Here to Help Learning’s philosophy of education influences everything we do to serve you and your student. We believe a teacher’s job is to fan the flames of God-given natural curiosity and innate love of learning in your child. 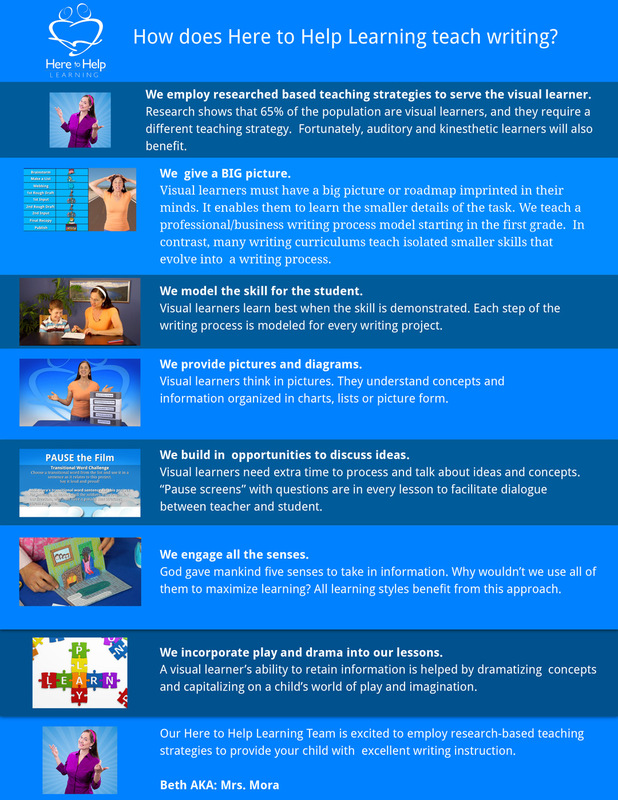 With careful guidance, we believe a child’s imagination and creativity is an asset and not a liability in learning to write. Our passion is to provide scripture-based worthy thoughts and ideas to inspire young people to reach their full potential. Here to Help Learning’s philosophy of education influences everything we do to serve you and your student.